Welcome to the Q&A Page for Upgrades ! Please ensure that your question relates to Upgrades and if not, return to the main page here. Rene: While trying to book flights today on Delta, I noticed something concerning. I’m trying to get from NYC to Denver from Friday 5/13 to Monday 5/16. I’m a Delta Silver Medallion. I found an outbound leg that I preferred (DL 2500, from JFK to DEN), and selected it. But on the page where I confirm passenger info, etc., it says: “Not Upgrade Eligible to Business.” I found that strange for a couple of reasons. #1, this is not a premium transcon route on which complimentary upgrades are typically forbidden. #2, if you try to buy a ticket in the forward cabin, it’s marketed as “First,” fare class D, and NOT Business. But here’s where it gets really strange: I then tried an earlier flight on 5/13 from LGA to DEN. Same thing. Then I experimented with other cities — to DTW, to SLC, to PHX — and guess what? All give me the same “Not Upgrade Eligible to Business” message. I’ve called Delta twice, and no one knows what’s going on. Do you have any insight into this??? Is Delta going to start marketing more city pairs as “Business,” and limit complimentary upgrades to lower-level (or all) Medallions??? @David – Known and ongoing bug. Ignore. Once you book it should show upgrade eligible. The only non-upgrade (for free) routes in the USA are JFK-LAX/SFO and ATL/MSP/NYC-Hawaii direct (or direct number). I have been enjoying your insight for some time now. My question is : Why were we upgraded on both the transatlantic legs of our ATL to KEF flight ? I am Diamond and Million Miler, but my travel partner is a Skymiles member with no status. Of course we were at the bottom of the upgrade list on the ATL JFK legs and were not upgraded. (A Delta rep told me awhile back the your companion’s status determines upgrade eligibility, when on the same itinerary.) However, we were both upgraded to a Delta one lie flat seat at the gate for both transatlantic segments. Did the computer system do this or was it a gate agent taking initiative ?Out of JFK, I thought it a fluke; but on the return I was curious. These legs were not supposed to be upgradeable. @F Kirby – When coach is oversold they move DM’s (and companions) and other elites up front. It happens, just not that often! Congrats. Is there any way to upgrade with miles on a codeshare with Air France on a return flight (from outside the US back to the US)? A Delta phone rep says you can’t upgrade with miles on a SkyTeam partner flight that originates outside the US. This is regarding an M class fare. I need to edit my question above. This is for the first leg of the flight from an Air France flight originating in Africa to CDG where I have a connection (booked through Delta). @D.Sue – A codeshare sure you can upgrade if the fare class is YBM. HUCB and ask another rep. Now if booked on AF you need to look at their program for upgrades with FlyingBlue points. You can transfer MR points if you have them if they say space is open. Sorry, I’m not clear on this–I only have to worry about FlyingBlue points if I’m booked directly through Air France? So you’re saying that my itinerary which is booked entirely through Delta should also allow me to use Sky Miles to upgrade from the Africa to CDG leg, even though it happens to be on AF equipment? Delta rep says only can do that on the CDG to ATL leg of the flight because the Africa-CDG leg “has no US nexus,” were her exact words. @D.Sue – HUCB. If it is a CODESHARE booked on Delta.com and in YBM class you should be able to use SkyMiles. Thanks Rene! That’s what I thought when I called to upgrade but I doubted my understanding of it because I thought someone whose job it is to know these things surely must know better than me! Hopefully I can undo changes I made as a result of the misinformation I was given (and get my money back). Delta phone customer service Rep strikes again! So I bought a comfort+ tix (w fare) for a atl-hou flight this morning. When I checked in online, I didnt see my name on the upgrade list, so I called the DM desk. They could not fix it, said the computer showed “not eligible” for upgrade. They told me I was eligible and that the gate agent would fix it manually. So I got here early today and, long story short, gate agent, redcoat, and sky club agents could not figure out how to get me “activated” on the upgrade list. So i watched all the upgrades get handed out to folks who we all knew were below me on the list, and here I sit in coach. Delta’s software is a mess, and no one seems to know how to fix it. Worse, why wouldnt the gate agent just manually give me the first class seat? Do they not have that power any more? @Rob – Nice. You have been rewarded for your C+ buy. Sad. Thanks Delta! I’m still trying to understand the mechanics of the 5/16 C+ changes. I’m an FO who hasn’t selected the upgrade request box for C+. If there are window/aisle C+ seats available at T-24 hours, how do I get myself into one of those seats? Am I able to select the seat off the seat map like I used to be able to do, or will I have to check the upgrade request box, wait for the system to “clear my upgrade” into a C+ seat, then select the seat I actually want? Does checking in mess any of this up? Before 5/16, I could move myself into a C+ seat at any time between T-24 and the start of boarding. Is that still true? @Greg – You have to check the box, wait for the upgrade, hope the seat is still there (often not). If only middle you get that. If blocked by REV MGT you get nothing. If moved to middle C+ expect your old good seat to be gone and if you want to downgrade to C- you have to call or tweet to Delta. Thanks. It sounds like DMs are, for the most part, getting quick clearances after they click the request upgrade box. I’m wondering whether FOs and GMs are getting the same quick clearance when they’re in the window. I know the delta reserve gets you an upgrade if you tie for same fair class, but is it worth the extra money on the Reserve’s annual fee? How many times will it actually come in handy? I don’t need lounge access (amex plat), so just assume I’m only concerned w/ upgradeability. @Amar – Yes you may get a few more upgrades, if you can use the BOGOF in 1st class (Reserve Card) vs the coach only (Plat card). And you can earn more bonus MQMs via the Reserve and 60k spend so consider all those before you choose. Are C+ W fares eligible for RU and GUs? On the website it just says Main Cabin fares Y,B,M,S,H,Q,K,L,U,T,X,V but no W.
Rene, just called Plat line. Expected to upgrade 2 people on outbound and 2 on inbound. Was told there was no space on outbound (20/20 seats avail) but there was some on return (18/20 seats open) she upgraded all 4 of us on the res.. Wasn’t expecting that, as it’s only for medallion +1! @Adam – Rather confused on details but yes Delta can have the cabin empty and release ZERO seats for upgrades. Hey Rene.. I know delta prioritized revenue customers over award customers. If I’m a platinum member with an award coach booming, will I get priority upgrade over a gold member revenue booking? Rene, tried to book flight from LAX-HNL today. Checked the ‘Flat-Bed’ amenity box and the only one that came up was thru SLC. I noticed they are using an A330 for that route in the Winter. I also noticed that Medallions are eligible for upgrades from LAX SFO SEA AND SLC. What do you think the chances of getting upgraded on this 6 hour flight are? @Adam – Yep, you can UG other than the MSP, ATL & NYC to Hawaii routes (even if MSP one stops you can NOT UG). Depends on day and load and fare class etc. Thanks for your blog. My question is, can you apply a global upgrade cert to a ticket purchased with AX Membership Rewards Points. Certificate may not be used to upgrade other published fares booked in E class, Award Tickets or Pay with Miles Tickets. I would call right away and ask once ticketed and confirm so you could possible cancel if needed (I think AX gives you 24 hours to cancel but confirm that as well). RU upgrades seem to have become a bad choice for Platinums. Almost zero availability out of hubs. And, the Reserve card annual companion “free” ticket is worthless to buy a first class ticket (and coach tickets are not upgradeable) because Delta now says almost all first class fares are “P” or “F” class and not eligible for companions. How much more can Delta do to discourage loyal frequent flyers? I no longer ever expect an upgrade on a coach ticket. So why should I pay $450 for a Reserve card? And, buying a First Class Delta ticket is often only $75 more than a coach ticket anyway. In the short term, FCM and these other “discourage loyalty” programs will help Delta’s bottom line. In the longer term, no — a really short sighted business plan. But I am retiring soon, will feel free to chose any airline in the future for my (hopefully) reduced air travel. Unlike Rene, I have never believed it was “fun” to sit in an airplane in any class. Delta’s First Class food has deteriorated to the point where I usually buy Arby’s or even McDonald’s instead of the slop they serve in First Class. Is booking the delta C+ class increase your chances to first class upgrade? I have a flight booked from CVG- FCO in March of next year. I am PM and my husband is GM. We can’t upgrade to Comfort+ because of my husband’s status until 3 days out but I talked with Delta today and they said when the rule changes about Medallion and companion upgrades we can upgrade immediately because I am PM. Do you have any idea/thoughts as to when this change will to take place? I know you wrote about this in May but just wondering if there is any more news. @Joy – Delta says FALL. Word on street is soon. Check back one week. Hi Rene – thanks for the great blog! I also have the same question re: change in upgrade policy. It’s officially Fall, so it would be good to know (I normally split the reservations with my husband and this policy will not require us to do so) soon. @Raina – We are all eagerly waiting for word. I am Platinum status with a Delta Amex Platinum card. On a recent trip from DTW to AUS, I was #1 on the upgrade list with 3 seats available in premium cabin. However, 3 others were given the upgrade. I did have complamenty upgrade to first class box checked on my reservation, but did not check upgrade to C+. Is it common to be listed #1 on the upgrade list with 3 open seats and still not be upgraded?? Would you suggest saying something to Delta or just let it go?? @Randy – Need more info. It could be 3 DMs checked in or did a SDC and jumped in front of you. This is just not enough info to know what happened in your case. Hi Rene – I have 1 set of Global Upgrades left. any places in Asia or South America that has a history of being open in Nov or Dec to use it? @Ken – Expect to clear at gate (if they do at all). Is there a priority for waitlisting when using a regional upgrade? I have a mileage run tomorrow. Medallion upgrades on 2 of the legs. First class seats tight on the other 2 legs so I called this weekend and asked to apply Regional upgrades on them to move to the top of the wait list. Checked in early this morning and was at the top of the list. However now I’ve moved to 3rd (and only 2 seats available). I understand about boarding last and will use that strategy but wonder about the movement of 2 others to the top of the list. I didn’t take a screenshot of the list at 7 am so don’t know where the other 2 were earlier today. I am a Diamond with Delta Platinum and Delta Platinum Business cards. @Carol – You can have them check it is in right or take it out and put it back in and see if you change. If not, you are up against others with RU certs and higher fare class than you. I am on a pay with miles ticket. I thought I would be on upgrade list but was not. I am Diamond so I would have cleared specially on thanksgiving travel. Was it always this way or did they change? I recently went to Malta and had issues with my tickets all the way around. I don’t really understand why, however, all except for the first ATL > CDG required manual intervention by an agent to fix an issue where the ticket number was missing from the reservation. I even had to get assistance from @Delta in order to get milage credit for my outbound flights. On my return flight from AMS > ATL I requested an upgrade using a GUC. When I went to check in at AMS, they had to call the Delta help desk in order to get me checked in due to whatever this issue was. I used the #teamboardlast method and I did receive an upgrade on the flight home. It’s now been a couple of weeks and I haven’t gotten any MQMs or SM for the return trip, but they also haven’t pulled one of my GUCs. I’m wondering if I should call them and try to get my MQM’s and hope they don’t take away one of my GUCs, or if I should just leave it alone and accept the ‘free’ upgrade. Do you have any thoughts on this? Rene, I need to fly to Australia this spring. The domestic legs are Delta, then Virgin AU from LAX. This means I can’t use GUs to upgrade to business. I’m thinking of buying an economy ticket now, then buying an upgrade in 2017. Any reason why I couldn’t do this? If one of the ticket prices change how does that affect my upgrade cost? For example, if the economy price drips but business price stays same as it is now, is my upgrade cost the difference in ticket prices at the time I wish to upgrade? Or difference in my ticket cost and cost of business class ticket? Thanks. @Carol – I can not tell you the Virgin Australia policy for cash upgrades. Sorry. Rene- I’m a weekly traveler out of the Northwest and I’m approaching 250,000 MQM’s this year, I have the Delta Reserve card and my upgrade to first success is maybe 25%. I even have difficulty using Regional upgrades- is this how Delta is going to treat Diamonds going forward? I don’t like the scam of non-comfort-! @Eugene – What days/times/routes are you flying? I have only missed 2 or 3 upgrades all year. What fare class are you buying and how far out? I burn all my RUs and GUs way to fast ie I have already burned all my 2017 GUs and all but 2 of my RUs (I follow my own advice and check often to see if they have cleared then call). Rene – as GM or PM, what are your thoughts on which class of service to “purchase”? I have read some of your posts about C+ being basically the same seat as main cabin with more legroom and a few “+” perks. I prefer to travel in C+ at a minimum and usually buy the W class tickets. I saw your article about upgrade priority, and that talked about medallion status and fare class – I thought I read somewhere that having a Reserve card also bumps up chances of upgrades. 1) Should I avoid buying anything in “E”, because that is not upgradable? 2) Is it smart to buy anything higher than “E” and hope for upgrades to C+, or the inverse question – is it dumb to buy “W” directly? Example of PHX -> MCO (via ATL or DTW) on 1/27/17 – 1/29/17 prices main cabin for $273 and C+ for $100 more @ $373. I have a roundtrip flight from ATL – FRA on December 27th – January 1st. I upgraded to business class on my inbound leg since I want to enjoy the new year in style; this will be my first time traveling in delta one! Currently, there are 25 unsold inbound delta one seats available. Does delta offer discounted delta one upgrade opportunity at check-in? I called today and it would be 60,000 sky miles to upgrade for inbound leg (I have a V fare class in main cabin, was upgraded to Delta Comfort already). The agent told me I could be offered a chance to upgrade at check-in for a discounted rate. I trust you more than I trust the agent though! Thanks Rene! Thanks for the swift reply! Saturday, I upgraded my inbound (ATL – FRA) flight to delta one using 60K sky miles after I read your article about skymile balances! I was going to save all my skymiles until I reached 1 million, thanks for explaining why this is a crazy idea! How long does it take for delta to deduct the amount from your skymile balance? My balance hasn’t changed and it’s been two days. Hi Rene. No question here, just a huge thank you for your advice on being the last to board. I was in that situation at LAX for the beginning of an early-year mileage run (another of your recommendations). I’d been number one on the upgrade list all day long, and the flight was showing 6, then 5, then 4 seats. When I arrived at the gate, they were all gone, showing on the monitor as four others having been cleared. I waited until all had boarded and then went down to the plane with the gate agent,. There were two FC seats empty and I got my choice. Thanks so much for the wise advice! Hi, Rene! Enjoy the blog! I just wanted to comment on a recent upgrade experience and see if you were aware of this issue. I was checking in for a recent return flight to my home base in MSP via DTW. I was offered a low cost upgrade to first class on the leg to DTW. Looking at the remaining available seats, I was not sure that I would snag one for free as a Diamond, so I took the bait and paid my money. I assumed that this leg would accrue the usual 50% MQM bonus that comes with a first class seat. In the past, I’ve had my employer purchase coach tickets, and then upgraded via the Diamond desk when the price difference was modest. When doing this within the 24 hr cancellation / no change fee window, it works like a charm. However, when I saw my Skymiles activity, I only got the 11x MQD bonus miles, but no MQMs. I talked with a Diamond rep and she confirmed that the MQM bonus does not apply to paid check-in upgrades. I’ve not seen this written about anywhere, and wanted to see if you were aware. Beyond that you do and should earn bonus MQMs for the fare class you now have. If you did not get the 150% bonus MQMs for the leg email Delta to fix it. When you spend more, you’ll be rewarded with even more MQMs. Full fare First and Business Class tickets (F, J fares) are eligible for a 100% MQM bonus. Ahh, it was a very early flight and I wanted to guarantee that I would be able to relax with the extra space and some breakfast. Thanks for the feedback. Sorry I was unclear about the Skymiles / MQDs thing. I received the number of MQDs I paid for the upgrade, and 11x that amount in Skymiles. But no bonus MQMs. The Diamond rep checked with the “Skymiles desk” and was told that this type of last-minute paid upgrade wasn’t eligible for the MQM bonus. I’ll try again and let you know if I hear any different. @Michael – It sounds like the rep was an idiot or just wanted you to go away. Yes, follow up! Rene, I just did. They confirmed that the lower cost upgrades to first class they offer at a kiosk or online during check-in is not eligible for MQM bonus because it is more deeply discounted. So you get the comfort only, but no bonus MQMs. I’ve not seen this documented anywhere. Bummer. @Michael – Ooohhhhh you are saying you paid for C+ “upgrade” not 1st class upgrade. C+ does NOT earn bonus no. Plus, C+, is no real upgrade! Hi Rene – I am flying with my wife MSP-LAX-HNL-LAX-MSP. We are on the same reservation, and on award tickets. I am platinum and my wife is silver. We have both been upgraded to C+ based on my status. My question is this: Should I try to split the reservation to improve the odds that one of us would get a first class upgrade? If I do that, how does that affect my wife’s C+ upgrade since as a silver medallion she is not entitled to them until 24 hours before departure? Thanks. @Jon – First off if the flight from MSP is the same flight number as the LAX one to HNL you likely can not upgrade. After that, yes, you will have better shot split since award tickets for at least YOU to upgrade. On paid tickets better to stay on one reservation. Rene – Thanks for the reply. If it makes a difference, the flight numbers are different. I also understand that if we split the reservation, I will have a better shot at an upgrade. My concern is that if we no longer are in the same reservation Delta will downgrade my wife’s C+ seat back to a “normal” C seat, since her upgrade was based on being on the same reservation as myself, a platinum medallion. Is that a likely scenario? Do companion UG’s on separate PNR clear at each individual window like the old days, if at all? Assuming separate PNR but linked, PM would clear at PM window and non-status companion clears at their window? I see Delta is now saying it is your status that is the number one determination for upgrades. And thus, DM are at the top of the line, no matter what credit card you hold. True? I am a Platinum American Express card owner. I have the Delta Sky Miles card number but have lost my card. How do I replace it. @Sandra – Being a Platinum AMEX holder has nothing to do with your SkyMiles card. You can print a new one on Delta.com at your MY DELTA page. Hey Rene, quick question that I can’t find any direct answers to… Do you know if booking directly into W reduces the miles/cost offered to upgrade to First vs an economy class such as V etc, or the cost for a award upgrade? I have never booked directly into it, as I used to get it free internationally… but am tempted for just an additional 150 to Hawaii. I am ultimately hoping I get offered an upgrade at checkin. Do you have any experience booking W and trying to upgrade with miles/cash? I know delta is charging ridiculous mileage upgrade amounts from economy, thought maybe W would be less. Any advice would help. Thanks! I’m a Million Miler Diamond and Reserve Card holder and I have a question about using regional upgrade certificates. I have a multi-city flight at the first of March from BWI to LAS (through MSP) and then LAS to MIA (through ATL) and then finally MIA – BWI. All flights are in Q fare and there are no Regional Upgrade Certificates available at this time but I could be waitlisted to use them. Delta agent told me Regional Upgrade Certificate waitlist gets priority over Medallion Status. 1. Is it worth it at this point to use them and hope I get it? 2. Can I wait until after 5 days out and see if I clear, and if I don’t clear then add my Regional Upgrade Certificates? I’m not savvy enough to know when is a good time to use the Regional Upgrade certificates. I really, really, don’t want to me in Coach on these flights! @MIca – I use mine this way. ONLY request for longest segment. If that clears more than 8 days out you can request for others (one way) at no extra charge and instant clear or wait for those. If you do have a RU cert applied yes you will shoot to the top of the UG list. I tend to pull mine if not cleared at 8 day mark and hope for free medallion UG. If not, I apply again after I have checked in if not at top of list. Hi Rene – I flew CDG-JFK on Air France over the weekend and purchased a business class upgrade in the CDG Air France Lounge to fly in the new AF biz class cabin (648 euros – not too bad)—i was told by Air France I would receive MQM bonus for biz class and my boarding pass reads J class…naturally, Delta only credited me for my econ fare. I’ve read of this happening before and Delta told me “you upgraded seats, not fares and you paid Air France and did not call us”….I have disputed this with Delta. Any other advice? I actually received an AF e-voucher (aka EMD) so maybe this is a workaround so Delta doesn’t have to honor MQM bonus on UP fares such as this. @Rob – Tricky situation because had you been on an AF ticket and then done and AF paid upgrade all should have worked. My guess is you were on 006 stock ie Delta ticket then did the buy-up. Thus the issue. Keep complaining to Delta.com and someone should fix it at some point (or tell you pound sand due to issue I described). hi rene – thanks for the reply. i was on 006 stock ie Delta ticket. I still don’t get the issue tho – who cares if it was AF or DL ticket…why does one of those choices blow up potential MQM bonus? My boarding class actually reads J class so shouldn’t I try for 100% MQM bonus? but my AF ticket was J class so don’t they HAVE to honor that? @Rob – Had you purchased a J ticket on AF.com yes. You did not. You got a coach and upgraded and not via a Delta portal. See? But they may still relent and give you the points. Maybe. Rene, my wife and I booked a trip to Cancun a few months ago with points and cash, wife is platinum I’m gold and we booked under her. Ticket says it’s a “nk” ticket and we checked in this morning and we don’t show up on the upgrade list. Any clue why we wouldn’t be ? Thanks ! Thanks Rene we called Delta and they fixed it and we were immediately upgraded to FC, thanks for the quick response. One quick question, why would we default down to gold I thought the rules changed this year and we would get my wife’s platinum status? So the biggest reason I decided to get the Diamond (I was on the verge and made a mileage run at the end of 2015 to get over the line) was because of the global upgrades. As I sit right now, my wife and I have my certs applied to a flight to New Zealand and return from SYD (ATL-LAX-SYD-ZQN, SYD-LAX-ATL) in a W fare. Even though I bought the flight before there were any sold seats in Delta One, we were wait listed. Of course, we are only on the wait list for the long LAX-SYD-LAX segments. I was told by a GU veteran that she usually doesn’t get upgraded on her flights to Asia until the day of, but she gave me a tip that the agents in the Sky Club can clear you before the gate agents and that I should get there early and ask. Is there any truth to that? What can I do to maximize our chances of getting up front? How reliable is the seat map in terms of showing what is truly availible. Right now we are looking at around 20 seats still available in D1. Any tips or hints on GUs would be much appreciated! Thanks! @Clinton – Much of LAX long flights clear day of yes or hours before. However, most DO in fact clear with GUs. All kinds of strange things can happen with reps if they want to – but the want to is the key. I’ve had several international flights on delta and delta partners and have a few more coming up. Is it possible to get an upgrade to business class when they have availability? I’m currental gold and going on platinum next week. Thanks for your guidance. @Michael – Depends on who. Most no. I’m a PM with an upcoming YUL-JFK-SLC-JAC itinerary. I called this evening to apply a RU certificate to the domestic legs. There were none available (not surprising) and I asked to be waitlisted for the JFK-SLC leg. I explained that I only wanted to apply the certificate if it could be limited to the JFK-SLC leg, as I don’t want to burn a certificate if only the SLC-JAC leg clears (58 min CRJ flight). The agent left me to speak to a supervisor and called me back several minutes later to tell me that wasn’t possible, there was no way to apply the certificate to only the JFK-SLC leg. Does that sound correct? I just read through some of your answers above where you mention only applying RUs to the longest leg, so I’m feeling like I either didn’t ask the right questions or they didn’t give me the right info. @Ingrid – HUCB. You 100% can request for 1 leg only. @Eric – In the past I was told it DID matter. Now, I think it does not as I have not seen anyone prove after latest changes that time of check-in matters anymore. Time of purchase is a MUCH more important factor ie the farther back the better. Anybody recently try to use their Regional Upgrade cert from LAX – JFK ? or JFK – LAX? tries about 10 dates. nothing. then I got a real nice rep who took the time to search over the next 6 months. NOTHING. Anybody try to book business class from USA to Paris on Air France? checked from now thru December 2017. one seat available the day after Thanksgiving, and one in mid January. So I am finding that as a Diamond, the “benefits” they provide you like Miles and Choice benefit Regional Upgrade certs are pretty much worthless. @Rick – You will clear at gate most times LAX-JFK-LAX. I cleared one way from JFK in advance in January. The other way 1 hour before flight. Hello Rene. I wanted to run this by you and get your thoughts on what just occurred on Delta.com. Checking in for Atl-Lhr and was a normal procedure nothing new for international flight. My wife on a different reservation, goes to check in and is offered buy up to delta one for $799. Now what has me seeing red is the fact I have been some level of medallion, currently platinum, for several years. Wife is and always has been a general memeber. Discussed this with phone agent and other than the standard “we are sorry” did not seem to care to much. I was always under the impression from speaking with gate agents and red coats that Delta one is never offered for buy up at gate/phone/online(other than paying the fare difference) and for opups (rare). Now this may make me sound like a petulant child, but out of respect for your loyal customers wouldn’t you think Delta would offer this buy up to a platinum member and not a general SkyMiles member? I can’t imagine what a diamond trying to use a GUC would respond to not getting it because Delta offered general members the last remaining seats for a fairly small cost. So much for Delta not flying a delta one cabin out semi empty as not to “dilute” the experience for those who actually paid full fare for their tickets. @Patrick – Never seen this. On KLM, AF and maybe Virgin yes but NOT DL. Strange. Thanks for sharing. @Rene- I could not believe it myself, even took a picture. Re-checked myself in and nothing. Rechecked wife in- offer still pops up. For 8/10 domestic legs this year have been offered a deal when checking in online, did not accept and am 0/10 on upgrades. Now with the offer for international I may very well stop using my SM# hope for an offer, then add my number at the airport. Could be on our way back to the glorious days of Alaska/American where I never had status and never bought a first class seat, but 90% of the time was in the first class cabin. (Cheap kiosk offers). Sad part is after discovering your wonderful blog, I was about to dive into my first ever mileage run. Know I am having second thoughts on chasing status. See entirely to many diamonds back in coach with me these days. As a Delta Reserve Card (personal & business) holder and Amex Platinum Card holder are your upgrade chances less if you book with Amex Platinum Points and the Platinum Card in lieu of the Reserve Card and Skymiles? In the past I have always booked with a combination of Reserve Card and Skymiles with a record of 90+% upgrades but after reading your blog I understand what you mean when you say Skymiles or not what they use to be vs Platinum Card Points. I just wanted to make sure that if you don’t pay with the Reserve card it wouldn’t matter about upgrades since you are still a Reserve card holder? @Rand – The only card that impacts your upgrade shot is the Delta Reserve card personal or business (one is not better than the other). Thank you for the reply. So it doesn’t matter whether I actually pay for the ticket with Amex Platinum as long as I hold the Reserve card chances for upgrades are the same? @Rand – As long as your Reserve card is in your MY DELTA (ie shows up) you do not have to worry and can pay with any card. Bags are free too this way ie you don’t have to pay with Delta Reserve to get bag waver. Rene – I just used my first Regional Upgrade Certificate (RUC) on a LAX-JFK route. Will I earn 150% MQMs like you do when you purchase a business class fare or only 100% of distance flown because the original fair was coach? @Tom – original fare class. I asked about GUC on LAX-SYD a few weeks back. Cleared last night (PHEW!!!!). Now, even though this might tempt fate, I have a question about cleared GUC in the instance where a connection is missed. We are flying ATL-LAX and have a 1.5 hour layover to get to the LAX-SYD flight. Since the TC flight is late in the day, I would imagine the chances are increased of a delay (also in light of the continued delays and cancellations from last week). Do you know what would happen if we missed that connection because of a flight delay? Obviously a night stay in LA, but what are my “rights” or maybe, better said, what should my expectations be in this case? Weill they rebook us in D1? @Clinton – You GU is ONLY guaranteed on the cleared flight. Hope you make it. Good morning, Rene. My husband is a Silver Medallion and I am a general member. We are flying LFT-YUL tomorrow. When I checked in at 6am, we had been upgraded to 1st class on the LFT-ATL leg. We were not upgraded on the ATL-YUL leg (flight operated by Express Jet dba Delta Connection) even though there were 3 1st class seats and 9 Comfort+ available when I checked the Delta website (without signing in) even though the seat map did not show any seats available when I checked in. Is the new policy for upgrades different when you fly a Delta Connection flight? @Kathy – No. Take a look at the upgrade list for the 2nd flight and you will see where you are and the open 1st class seats. Contrats on the other upgrade! Thanks for the info, Rene. We were actually upgraded to C+ before I had a chance to call. I did try to change 1 of the seats because it was the dreaded 5B that juts out into the aisle, but was unable to change it online because a note said one of us was on the standby list awaiting a seat assignment. We were grateful for the upgrade to 1st class on the first leg. Is there any reason why my name would not be on the upgrade list for 2/3 of my connecting flights? I’m only a silver but got FC upgrade for the first leg of my trip but I’m not listed anywhere on the list for upgrades for the other 2 segments. Not a big deal but I was just curious, thanks! @Alex – You should be. There could be a bug. Call medallion line they may need to fix or reissue ticket. I applied a RUC last week but my itinerary doesn’t contain any “clone” itineraries (it did at first, and then they disappeared). It’s for a JFK-SEA-OGG itinerary and back in November, at least one leg has 19/20 open seats in First on a 757. The .com itinerary says “Upgrade Status:Upgrade Waitlisted”, but there’s no way for us to track if upgrade space opens up, per previous practice. I also noticed on FlyerTalk that one of the recent posters mentioned the lack of “clone” itineraries… What are your thoughts? I spoke to 5-6 agents at various times, and nobody was able to explain (and frankly didn’t sound as knowledgeable). @ogi – If you have not cleared any legs what you can do is this. 1) Call and have them remove it. Hang up. Wait a few hours. 2) Call back and have them apply it again and see if the next rep does it right. Hi Rene, can GU certs be used on award flts or only on paid flts? @Rick – Paid with cash or vouchers. Not awards. On August 3, I purchased two round trip tickets LAX-JFK in Basic Economy for travel in October. My ticket used funds from a prior ticket. I paid for my partners ticket via credit card, hence two record locators. Later in August I enrolled in the Delta Medallion Status Match (I am AA Platinum) and was awarded Medallion Gold effective August 29. Understanding E class fares prohibit complimentary space available upgrades, I paid to Upgrade both my ticket and my partner’s ticket to Main Cabin and submitted an upgrade request to comfort plus. (Space available 72 hours prior to flight). I was advised that I am allowed to take a companion along if seats are available. Here’s the rub: My partner is not eligible for a space available comfort plus upgrade because the tickets are on two separate records. Delta stated my partner could be eligible (along with me) for a Space Available First Class Upgrade. However, since the LAX-JFK route prohibits Medallion upgrades to First Class, I lose both ways. How can I go about requesting my partner be seated in comfort plus, if I am awarded the upgrade to comfort plus or is this a futile exercise? Thank you. Hi Rene! I really enjoy your blog and appreciate your travel insights. Was curious about a purchase upgrade offer I received this morning while I was checking in for my flight on the Delta app. It was offering to upgrade me to First Class the first flight (FAR-MSP) of my three segment trip for $44. It was specific that it was only for that leg of my journey. Puzzling part was – I had already been confirmed as a medallion upgrade to first over the weekend. I stopped the check-in process to see if I was still assigned a first class seat – I was. I went through the check-in process again and it again offered to sell me an upgrade for that same leg that I had already been confirmed in First Class. I appreciate the upgrade – but it seems a bit shady that they would then see if I might bite and agree to pay for something that I had already been given. Have you seen this before? @Josh J – Delta IT, when it comes to upgrades etc, is not always the best. This is sad but not shocking. How does Delta decide when to stop upgrading people to first and keep the seats open? As a gold medallion, i was bumped to first on first leg of a trip 70 hours before my flight but on the way back I only received C+ at 70 hour mark despite 3 open First Class seats. I assume they are holding these out for sale but how is this determined? Or do you think theyre open for another reason? @ted – It all depends on the horned beast of REV MGT on when they will open space. Example: There were 6 open 1st class seat for me this Saturday for Diamond UG at 5 day mark. No UG. Waited to 4 day and then 8 seats open. At sub 3 day mark I cleared and now 7 seats open. They play games to push it and loyalty means very little. Hi Rene. Weird situation trying to use a Regional Upgrade Cert. Bought a rountrip ticket on Delta.com and after booking, called to see about using a RU, and was told no space available, but could waitlist the RU. That is fine, and told the phone agent to apply to longest leg of outbound part of the itinerary, which she did. On my itinerary in My Trips on the website, it was listed as “Upgrade Waitlisted” for the correct leg. This all happened a couple months ago. This morning, I woke up to an email from Delta saying that my flight was reticketed and I was upgraded to first on the return leg the entire way. The class for those flights is listed as RY. My RU certs are now listed as closed in My Wallet on the Delta website. But again, it was supposed to be applied to the longest leg of the outbound, not return flight. In My Trips, I am still listed as “Upgrade Waitlisted” for the outbound flight. I am torn about calling, as I am happy to be upgraded on return flights, but those flights are also on an early Saturday morning, and am pretty sure a normal platinum medallion upgrade will clear, so want to use the RU on the outbound Monday morning flight. So, is it possible that I am still on the RU upgrade waitlist for that outbound flight? Or should I call and try to get them to fix it? If this is a tech glitch, I don’t want to mess with it. But if I now cannot use the RU on the outbound, I would want Delta to fix it to maximize my upgrade potential. Any advice? @John – I would have them fix. Reopen cert and apply correctly. What has happened in the last few months with Diamonds not getting upgraded 4-5 days prior to their flight? All I see now is you can upgrade for $30-$60 bucks on this segment and so on and so forth. By the day your flight is scheduled to leave Delta has sold all the first class seats. Is this the new norm? @Rand – This is the new norm. Sell cheap and leave Diamonds in the back. Welcome to Delta loyalty 2017. Hey @rene. Do you know what the upgrade possibilities are on Delta marketed AeroMexico flights? My wife (SM) and I (DM) have a Y fare (long story as to how or why I have a Y fare). I got the AM booking code and went onto their website and attempted to upgrade and it gave me an error. I called AM, and the agent really didn’t give me confidence that she knew what she was talking about and said that I should ask the ticketing agent. Do you know what the possibilities are? Can you upgrade at the gate or ticket counter? 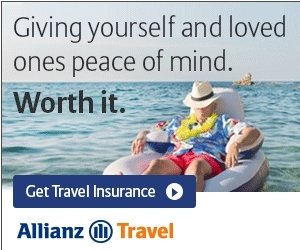 If so, with skymiles or cash? Rene- I’d be interested in hearing from flyers trying to use their GU certificates. Are there any routes/locations where it seems to be easier than others to take advantage of our once valuable GUs? The waitlisted option which worked for me several times in the past has now become such a gamble, I’d rather not go that route anymore when trying to book mileage runs. Read around FlyerTalk you can purchase upgrades with a combination of cash/skymiles or flyingblue points for ex-AMS flights on Delta or KLM. Have you had any experience with this ? @Nick – Yes. Ask in Crown Lounge or at gate. If I buy a fare through an OTA (expedia), will I be able to apply the regional upgrade to the fare and confirm it? I checked and it is H (not E). I wouldn’t ordinarily consider this, but it is saving me $500 over booking hotel and flight separately. @barry – As long as not consolider fare. You should have 24hrs to cancel so book then call asap? If I’m looking to apply a Regional Upgrade certificate to a reservation, do all segments of the trip need to be RU-eligible for me to use the certificate? For example, I had booked JFK – SEA – HKG last year, called in to use my RU only on the JFK – SEA leg, but was denied because of the SEA – HKG leg. I’ll be flying JFK – HND/NRT this year and was debating between If I wanted separate or single reservations for JFK – LAX/LAX – HND. @Brian – Would have to be 2 PNRs. They are correct – can’t use RU cert on PNR with leg that needs GU cert. @Chad – Recent change allows both now. I purchased Main Cabin tickets for an upcoming flight, and I’d like to upgrade to First, preferably using e-gift certificates I purchased using my Amex Platinum annual $200 credit. I selected my First Class seat, but it appears as though I must use a credit card to pay for the upgrade. Is there any way to use the certificates? Thank you very much. @JP – No. Use those for new tickets. A Delta phone rep told me to initially request FC upgrade only and wait until closer to departure date to request C+ upgrade. They said this would increase my chances of getting the FC upgrade. Is this a strategy you employ? If so, when do you add the C+ upgrade request? I am Gold if it matters. @Bob – Sounds like a great Rookie Sunday topic. Check back Sunday for answer and more. My name is Will and I am a huge delta fan. I am new to medallion status and reached Silver Medallion last year! I have read a lot of your rookie tips and found them really helpful! I want to take advantage of my medallion status and try and get upgraded as much as possible. I have flown only a few times this year and have been upgraded to first only once so I am trying to find which days are the best for upgrades. One question I have is what days do you think are my best chance to be upgraded? (My main delta hub is MSP) Also, I am excited about the new complementary upgrades to Domestic Delta One and I really want to try it out since I have never had the chance. I am thinking about taking a millage run this summer and flying Transcon one day in hopes of getting an up grade to Delta One but I’m not sure what day is my best bet. (Maybe Saturday??) Please let me know what you think. Lastly, I will tell you worst days: Monday AM. Thursday PM. Sunday PM. Yes Saturdays all day and Sunday EARLY tend to be best for low rank elite upgrades but keep above in mind. I’ve just applied my first RUCs to a round trip for me and my wife (so 4 in total). Both legs are listed as Upgrade Status:Upgrade Waitlisted but I only see the “shadow” seat plan for the outbound flight, not the return. Do you think I need to keep calling until I get someone to figure it out? @JA – I would. I would have them remove it and redo it. Hi Rene, I am PM and traveling with GM companion in a couple days on same ticket. There are a few seats open in first but none together. Do you know if this is a factor in whether Delta upgrades us or not? Obviously we would hope not, but now that I think about it we have only been upgraded to seats next to each other in the past and have not been cleared for this flight as of yet. @Ted – It can happen that Delta only releases 1 seat for UG days before flight. So, at the 5 day window, it can be smart to split reservation so at least 1 gets the seat (maybe). But clearly there are downsides of splitting so consider that 1st. had interesting experience with GUC today. first I was 1 and 2 till about 8 hours before departure. I then moved to 3 and 4. Two people jumped me and yes maybe they used GUCS. However I feel more likely they jumped me another way. So how can people jump a diamond using GUC on the upgrade list? Is there a fare type that trumps a GUC? There were 4 seats left in Delta One. Those 2 cleared I think without fanfare. I was then approached by the GA who asked how I was getting upgrade. I said GUC and to my surprise he asked for the certificate code and redemption code on the spot in order to clear me. Luckily I had my laptop and found the info. next time I will have this in hand – flight was overseas. I assume domestically this is not common and the process is more automated? The great news is we cleared! @Jay – Yes higher fare class higher in order. But also sounds like GU miss applied as numbers should be in reservation. so will a y/b/m fare beat a guc in lower class for international upgrade? @jay – higher fare class always helps. Hi Rene, has Delta let slip if they will offer same day complimentary upgrades to D1 for elites on international flights anytime soon, if at all? I was hoping this would come about not too long after the change to domestic upgrades. @ted – Really NO on that one. Not gonna happen. Ever. I have a question about using GUC for JFK-LAX-SYD. Last year I tried to use a guc and did not clear the JFK-LAX leg. Even though I appeared at the top of the list in LAX for the LAX-SYD Route (as confirmed by the rep in the lounge) the gate agent said that because i wasn’t cleared when I began my trip (ie in jfk) the system wouldn’t let me upgrade half way through trip. (There were spots in delta one and they upgraded people lower on the list). Is this deltas policy? Is there anyway around this beside booking seperatley for the two legs? @Daniela – Ridiculous. You were given bad info. Very sorry. Next time try @Delta on twitter. @Robert – For free? No. But if they are over sold in PS they may offer to upgrade you to D1S. You can also ask if over sold at gate and if they say yes you can say you will give up seat free if needed if they can move you to D1S.